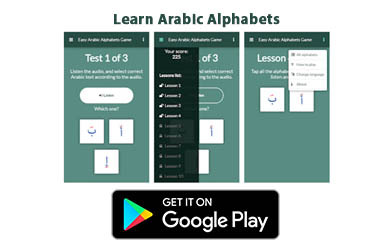 Arabic Alphabets Game is an online open source HTML5 game for those who wants to learn Arabic alphabets. It has more than 40 lessons/levels. Unlock the next level by finishing the current level.